With the home video release of SLICE today and expanding theatrical release of AN ACCEPTABLE LOSS, the thumbprint of Shatterglass Studios in Champaign continues to make a mark on the industry. When we pulled together our thoughts on the tenth anniversary show of Champaign Movie Makers last June, one selection in their program just so happened to jog our memory about other milestones that we would be remiss to let slide again. Therefore, we congratulate Shatterglass Studios of Champaign on more than a decade of success – they opened for business in 2006 – and revisit a different occasion when their core team began to create the kind of output that fellow founders Brett Hays and Luke Boyce have always been striving to embrace. As we first reported in 2008, Shatterglass premiered a pair of short subjects on August 7 of that year at the Onarga Theater in little Onarga, IL, located not far from where Boyce was raised; they certainly proved to be modest harbingers of cinematic things to come. One of the films, SUGAR, was a Chicago-lensed comedy about a waiter experiencing flights of fantasy when a patron strikes his fancy. In the other, PRELUDE, an enigmatic drama unfolds in which a down-on-his-luck local and a mysterious traveler meet and contemplate Big Questions over coffee. Both are co-productions with other indie upstarts of the time and the latter is significant not only because it was shot in Champaign-Urbana locations, but it is also the first fiction piece developed by the Boyce/Hays tandem from a story by their own screenwriters. Credited to a short-lived sister company, Essence Films, PRELUDE introduces So Long Forgotten lead singer Micah Boyce and future Ph.D. candidate Vanessa Prokuski in the leads and The Bread Company of Urbana as their backdrop. It is rare to see it in a public space as attendees of the CMM program did at the Art Theater, bringing us full circle and back to the present. Shatterglass has since built itself into a go-to house for numerous services in multimedia. This includes planning and execution for clients nationwide on their commercials, industrial films, viral video presence, and the like, collaboration with institutions such as the University of Illinois on branding and educational materials, and various levels of support given to non-profit organizations and homegrown ventures in Champaign-Urbana to help achieve their needs with a professional sheen. The firm’s neon-laced façade on South Neil Street often serves as a gathering place for mixers, presentations, meetings, production workshops, and instructional sessions for youth in our community. Neither resume on their Web site or the Internet Movie Database adequately covers the depth of how Shatterglass serves its neighbors and customers. That said, the company remains committed to exploring the entertainment industry. In-house employees and freelance associates take on positions with others’ movie projects in order to sharpen their skills and increase their visibility, whether or not the firm is named in the titles. Apart from sizeable roles in producing LEADING LADIES and CONSUMED here in east central Illinois, Shatterglass team members have worked on several other titles that include THE ORIGINS OF WIT AND HUMOR, a droll misadventure about a comedy writer (Joe Hursley) who drinks a magic potion, THE HOLLOW, a Mississippi-set mystery with William Forsythe (THE MAN IN THE HIGH CASTLE) and William Sadler (HAWAII FIVE-O), THRILL RIDE, a children’s adventure set in an indoor amusement park that stars Kristen Johnson (3RD ROCK FROM THE SUN), and SEARCHING FOR VENICE, a drama about grieving family members that are gathered at a vineyard. More recently, A24 Films chose September 10 to debut the anachronistic horror-comedy SLICE, a joint venture between director/writer Austin Vesely and breakout music star Chance the Rapper, as a one-night-only event in 21 cities followed by VOD release the next day; it was the subject of much speculation as its filming in the Joliet area had wrapped more than two years prior. Familiar names in the final credits crawl include Hays as a co-producer and production coordinator, Boyce as the assembly editor, Ashleigh Coartney as head of the hair department, Anthony E. Cabral as first assistant director, and Iman Sharabash as production secretary. 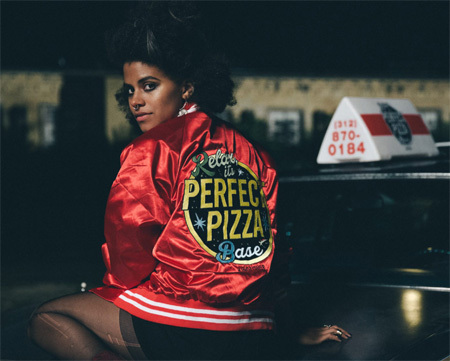 With as little advance notice as before, Lionsgate serves up SLICE on DVD today, Tuesday, January 29. Cabral and Hays pulled similar duties at the end of last summer on KILLING ELEANOR, a dark road trip comedy that is written and co-produced by GOLIATH and WACO actress Annika Marks, when the production visited numerous Chicago suburbs for settings; Marks co-stars with Jane Kaczmarek (MALCOLM IN THE MIDDLE) and Jenny O’Hara (THE MINDY PROJECT) in the title role. 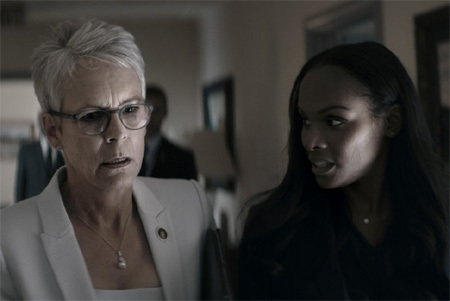 Another Windy City effort called AN ACCEPTABLE LOSS, developed by the veteran director-producer team Joe Chappelle (CHICAGO FIRE) and Colleen Griffen (THIEVES QUARTET) of Evanston, is a political drama starring Jamie Lee Curtis (HALLOWEEN) and Tika Sumpter (SOUTHSIDE WITH YOU) that involved several of the aforementioned folks. IFC Films began VOD and a limited theatrical rollout for AN ACCEPTABLE LOSS on Friday, January 18. Certainly, more in this vein will be on tap for years to come; features are currently in the works with both MPI Media, the independent Orland Park/Chicago label best known for its string of above-average horror films, and MarVista Entertainment, a California-based sales agent and producer with a sizeable catalog of television shows and films that includes CONSUMED. Concurrently, the ultimate Big Question now looms for Shatterglass itself; after all the miles logged, parties wrapped, contracts fulfilled, and assets delivered to others in their first baker’s dozen years of existence, when will the firm finally bring its own feature films to fruition? The ensuing time frame between PRELUDE and today has been pockmarked with small-scale efforts by Shatterglass staff using their facilities and knowhow. For instance, an offbeat short made recently in Champaign, THE POOKA, stars Chris Sullivan (THIS IS US) as a children’s party entertainer who comforts a grieving woman played by Lily Rains (LAW & ORDER TRUE CRIME); it made the festival rounds in 2017 and is unrelated to the more horrific POOKA feature appearing last month on Hulu. Hays and Boyce have backed up their support of the popular Pens to Lens program by producing entries for them such as EVEN AND ODD and RACE YOU TO RUSSIA. They’ve also lent their expertise to projects of various low-budget scope with roots in the area, including the first set of episodes for the Chicago Web series SEEDS and John Isberg’s deep dive into Champaign indie rock history from a wide genre perspective, WHERE IT BEGINS. It’s clear the yearning for full-scale production is entrenched in the Shatterglass business plan, however. Between 2014 and 2016, the firm hit at least three pivotal points that seem indicative of their filmmaking commitment. 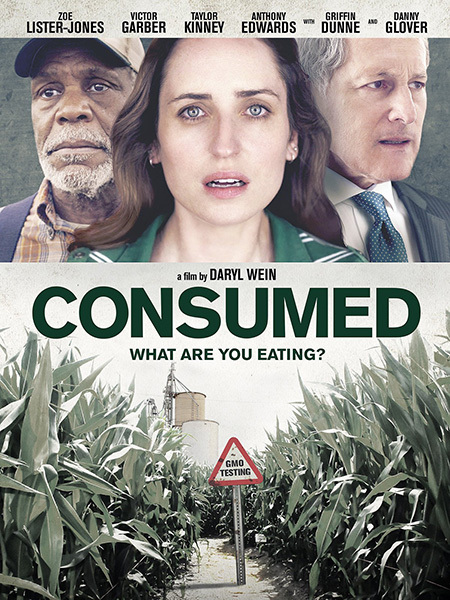 The first was that all-encompassing shoot of CONSUMED in 2014; a pet project of Zoe Lister-Jones (LIFE IN PIECES) and Daryl Wein (WHITE RABBIT), the anti-GMO drama attracted name talent and technical crew to Champaign-Urbana, relying on Shatterglass personnel to fulfill the production’s remaining needs. The second was the 2015 launch of a new companion company, Shatterglass Films, to handle the task of incubating and executing high-quality narratives and documentaries. Local entrepreneurs Jennifer Shelby, Scott Reichard, and Habeeb Habeeb helped kick-start the offshoot, with Shelby becoming a managing partner and the others providing initial investment. The third was the 2016 debut of the Champaign County Film Office, a resource for local and out-of-town producers that is housed at the “Visit Champaign County” tourism bureau and engineered between that organization, other commerce-intense offices, and Hays. Ryan Reid serves as the office’s liaison. A handful of properties have been announced since then, an exciting tease on top of the overall goodwill that has come from Shatterglass’ track record. Initiatives on the board include several in development with Chaz Ebert, such as a biographical retelling of the tragic fate that befell Emmett Till, based on the book Death of Innocence by UIUC professor Christopher Benson and his mother Mamie Till-Mobley, and a full-length appreciation of Roger Ebert’s Film Festival. Also in the early stages of coordination and funding is an adaptation of the Tim Seeley/Mike Norto zombie-drama comic book series Revival, which is slated for production in 2019 and would serve as the feature debut of Boyce as a director. We can only guess how many other ideas have taken shape or form as the team stockpiles them for future use. Coverage afforded items like AN AFFORDABLE LOSS and SLICE in the major press tend to highlight the fashionable talking points – hurdles navigated, famous names attached, intended audiences and storytelling goals – without broaching the nuts and bolts of the process too much. It does little favor to the vast number of individuals that contribute to the end result, meaning, anonymity in the public eye comes with the territory for many who work hard in the business called show. We have a feeling the tenacity and imagination of the primary individuals behind Shatterglass Studios and Shatterglass Films will soon raise the companies’ standing from a regular presence on quiet sets to the spotlight where their own movie magic will make some noise. Article © 2019 Jason Pankoke. Graphics: Logo type © Shatterglass Studios. AN ACCEPTABLE LOSS artwork © IFC Films. 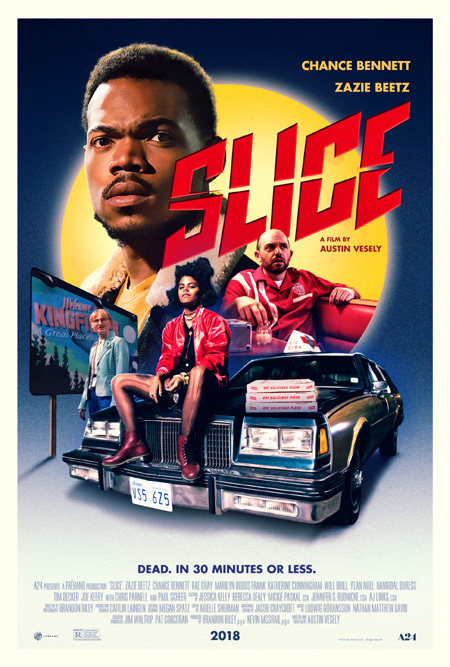 SLICE artwork © A24 Films. This entry was posted on Tuesday, January 29th, 2019 at 1:00 pm	and is filed under Article du C-U, Champaign Movie Makers, For the Children, Media Coverage, Production Updates. You can follow any responses to this entry through the RSS 2.0 feed. Both comments and pings are currently closed.